Home Latest This Actress Will Star Opposite Akshay Kumar In Rohit Shetty’s ‘SOORYAVANSHI’? Rohit Shetty’s ‘Simmba‘ is roaring at the box office. The film featured Ranveer Singh and Sara Ali Khan in pivotal roles. Those who watched ‘Simmba’ can never forget the surprise part at the end of the movie. In the end, there’s a scene where the director announced his next film ‘Sooryavanshi‘ starring Akshay Kumar. Rohit Shetty and Akshay Kumar will be will be teaming up for the first time and the film is expected to go on floors sometime around April. Just like ‘Simmba’, this film talks about the story of a policeman. Recently, there’s a buzz about who will be cast opposite Akshay Kumar. 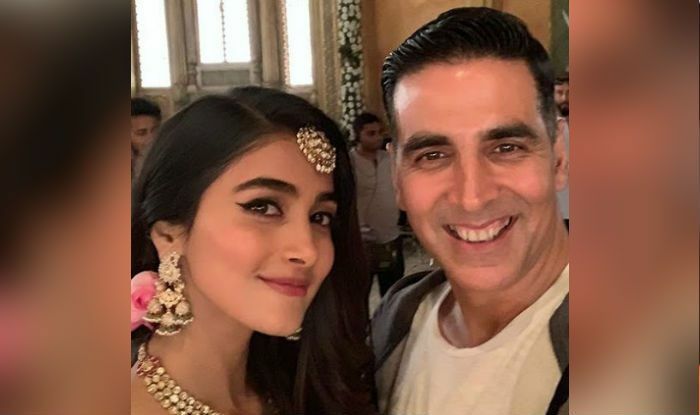 As per reports, Pooja Hegde might be cast opposite to Akshay Kumar. Akshay has been instrumental in telling Rohit to consider her for the part. Akshay and Pooja worked together in one of the portions in ‘Housefull 4‘. In this film, Akshay Kumar will play the role of an ATS officer. Next articleExclusive: Will Finally Deepika Padukone Play Reel Wife Of Real Life Husband Ranveer Singh?